Netflix and eight other OTT players have signed a self-Regulatory Code, which is meant for regulation of content and not censoring it. The code was signed by content providers under the backing of IAMAI. Netflix and eight other OTT players have signed a self-Regulatory Code. The self-regulatory code is meant for regulation of content and not censoring it. 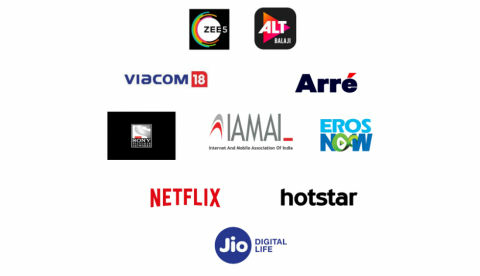 The code was signed by content providers under the backing of IAMAI. Empower consumers to make informed choices on age-appropriate content. Protect the interests of consumers in choosing and accessing the content they want to watch, at their own time and convenience. Safeguard and respect creative freedom of content creators and artists. Nurture creativity, create an ecosystem fostering innovation and abide by an individual’s freedom of speech and expression. Provide a mechanism for complaints redressal in relation to content made available by respective OCCPs. Content which deliberately and maliciously disrespects the national emblem or national flag. Content which represents a child engaged in real or simulated sexual activities or any representation of the sexual parts of a child for primarily sexual purposes. Content which deliberately and maliciously intends to outrage religious sentiments of any class, section or community. Content which deliberately and maliciously promotes or encourages terrorism and other forms of violence against the State (of India) or its institutions. In addition to the above mentioned prohibited content, the code also states that stakeholders who have signed this code will categorise content and classify the same into separate and distinct categories such as General / Universal Viewing; Content which requires Parental Guidance and/or; Content which is solely meant for age-appropriate audiences (such age-appropriate audience may be further sub-categorised into different age groups). Signatories are also required to display a content descriptor or guidance message that indicates and informs the viewer about nature of the content, particularly around age-inappropriate content for minors.